GOODYEAR, ARIZONA—May 25, 2016—Kim Kusilek, director of Harbour Pointe Christian School in Mukilteo, Washington, has been selected as the Evangelical Lutheran Education Association’s 2016 Early Childhood Director of the Year. ELEA is the national membership association of private secondary, elementary and early childhood schools throughout the Evangelical Lutheran Church in America, the largest Lutheran church body in the United States. “Director Kusilek was nominated by a colleague, and selected by her fellow administrators through a national search process conducted by the Evangelical Lutheran Education Association”, said Gayle Denny, Executive Director of ELEA. 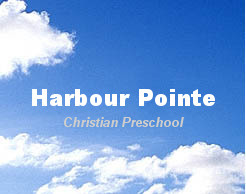 Holding a Bachelor of Science Degree in Secondary Education from the University of Wisconsin – River Falls, Ms. Kusilek has served as Director of Harbour Pointe Christian School in Mukilteo since 2002. She also has the designation as Coordinator of Schools for Trinity Lutheran Church in Lynnwood, Washington. Pointe of Grace and Harbour Pointe Christian School are a ministry site of Trinity Lutheran Church. She served as teacher at Harbour Pointe from 1998 until being named Director in 2002. Criteria for selection of the ELCA Early Childhood Director of the Year program require that the honorees are active administrators of schools where programs are designed to meet the physical, academic and social needs of all children served and where there are firmly established community ties with parents and local business organizations.